A dogged journeyman from SA club Norwood. He was a rover who could take a turn on the wing or at half-forward. 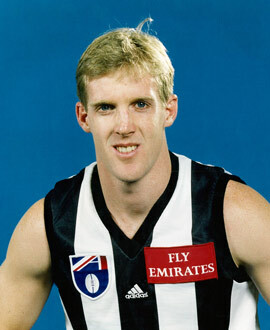 Speed and endurance were his two greatest assets although his disposal skills often prompted criticism from Magpie fans. Always competitive for the ball, and always committed, he had a tremendous personal season in 1998 when he ran third placing in the club best and fairest award. The year prior, he had started in excellent form, but then faded out severely. Patterson began 1999 in the reserves, but fought his way back to the seniors. The next year saw him only break through for one senior game.